Old apron wearing out from all the constant daily usage at school? Ditch the old and get a new, custom, apron this year! The fun and stylish apple graphic makes this the perfect fit for any educator. 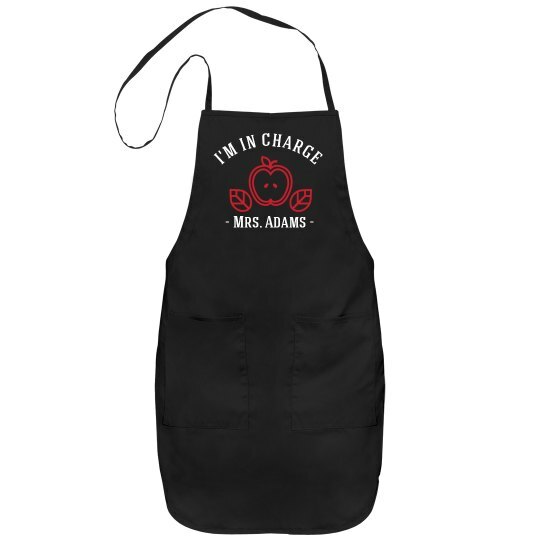 The pockets will also keep all your things safe and organized, so get your personalized apron today!